OTHER STUDIO USESIf you require studio space for anything that we haven’t covered then please get in touch - we will try our very best to accommodate you. 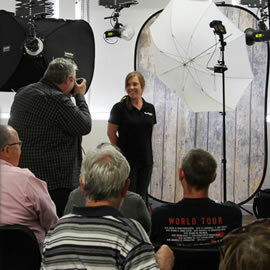 STUDENTSStudents are entitled to a 10% discount on week-day studio hire (half day or full day hire). Our comprehensive, professional facilities and knowledgeable staff provide an ideal place to help you achieve top marks! SEMINARS, MEETING SPACE OR WORKSHOPS We can accommodate up to 25 people seated for talks/seminars and have presentation options, tea and coffee facilities on site and external catering can also be arranged. Enjoy use of our 65" Panasonic TV for your presentations or live photography demonstrations to a group. 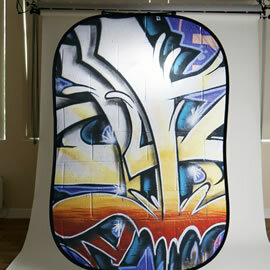 For studio demonstrationss or workshops, seats can be arranged to get the best view of the studio space. We can provide tables for smaller groups requiring more individual workspaces. If you just need somewhere to meet - for example, if you are organising a photography walk - the studio space an hold approximately 35 people standing, and provides an ideal base to start and finish your trip. For an additional cost, we can also provide lunch/dinner/snacks and refreshments for your group.